While it is difficult to imagine that slimming is one of my concerns, health, fitness and wellness are certainly areas that are close to my heart, especially as age catches up with me. So yes, today's post may be about Mary Chia's Intensive Weight Vaporiser, one of the most popular slimming treatments offered by the leading beauty and slimming specialist, but it isn't entirely about weight loss. Mary Chia is Singapore's first home-grown lifestyle and wellness service provider to be publicly listed on the SGX-ST Catalist, and it now operates 8 outlets in Singapore, 6 outlets in Malaysia, with 3 unique spa concepts that cater to different demographics. 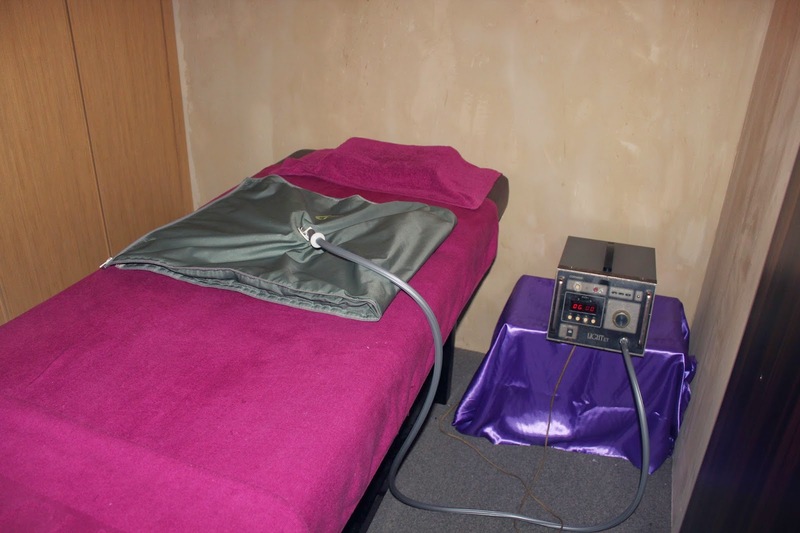 When I heard that their Intensive Weight Vaporiser treatment improves blood circulation and serves as an effective detox for my body even if slimming may not be my top priority, I decided it would be interesting to give it a try. The best part is, no pills, injections or special dietary requirements are needed. Who's suitable for this treatment? This treatment is generally suitable for anyone who wants to lose weight or detox. However, if you have health issues such as heart problems and high blood pressure, or if you are pregnant, you may wish to seek professional medical advice before embarking on this treatment. So, what's the treatment like? I will be giving you a step-by-step run-through of the treatment to give you a better understanding of what to expect. Read on to find out more. I was brought into a private room to fill up a form on my health and skin concerns before I was ushered to a machine for a BMI analysis which gives a detailed breakdown of my fat percentage, bone mass, muscle mass as well as what my ideal weight and fat percentage should be. This is perhaps the most important step in the treatment because a thorough analysis and personalized consultation gives the consultant a better understanding of your body and health condition, allowing her to customize the programme to optimize its effectiveness. Based on this assessment, the consultant would also be able to better advice you on the number of sessions required to achieve your desired results. I have always been underweight because of my small bone structure (trust me, I do eat and my husband claims I eat more than him! ), thus the consultant shared that I could consider doing the treatment just once a month for detox and overall wellness. After the consultation, I was escorted to the locker area to keep my personal belongings and change out into a comfortable robe before proceeding to the treatment rooms. I must say I was pretty impressed with the finger print identification technology used for the lockers! I have to admit I was a little apprehensive when I first saw the vibration bed because I have never seen a machine quite like this. I laid down on my back,with my head nestled into the cushion and my legs propped up. The vertical cocoon-like contraption was then pulled down horizontally to cover my body. The vibration bed heated up instantly to about 40 degrees Celsius and a series of vibrations ran through the entire bed. I could feel my body rocking from side to side as I began to work up a sweat. Did you know that 15 minutes on this vibration bed is equivalent to 45 minutes of rigorous exercise? If exercise is not your cup of tea, this vibration bed is probably just what you need. Even if you exercise regularly, there are times when you sustain injuries. For instance, I suffered a back injury recently and had to stay off my yoga mat for a period of time. This vibration bed serves as an ideal substitute for exercise in such situations as the vibrations and rocking motions are gentle enough to prevent further injury while you reap the same benefits of exercising. In fact, I was told that many elderly clients who have difficulties moving about get their dose of exercise through this low impact vibration bed too. Besides providing an alternative to exercise, the vibration bed also promotes lymphatic drainage, which is great for detox, relieving water retention and weight loss. My verdict? It definitely felt like a good workout and I really liked the massaging effect on my back as well. For those of you who are interested in weight loss, you'll be happy to know that you can lose approximately 500g - 2kg after each session, while you are lying comfortably on the vibration bed. It actually felt so comfortable that I dozed off after a while. Right after wiping off beads of perspiration from my "workout" on the vibration bed, I was led to the sauna for another 15 minutes. Despite the heat (around 45 degrees Celsius), it was a relaxing experience as I was given some magazines to while my time away, which I thought was a very thoughtful gesture. 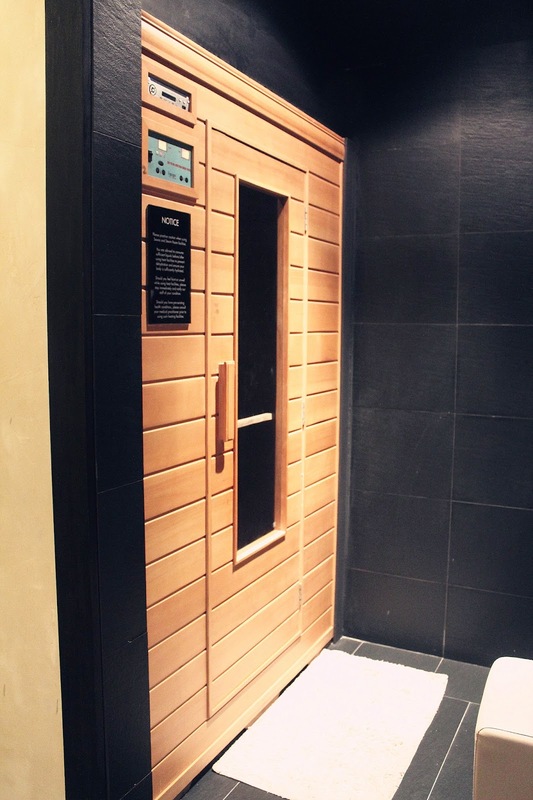 The sauna provides physical rejuvenation and improves blood circulation, refreshing the mind and body while sealing in slimming benefits to achieve a svelte figure. The Air-Pressure Slimmer is yet another interesting device that promotes lymphatic drainage and improves blood circulation. Targeted at the waist and stomach area, an inflatable strap is wrapped around your stomach. The strap inflates gradually at first, tightening its grip on your tummy before it deflates and completely releases its hold. This process continues for approximately 15 minutes. Finally, the treatment concludes with a full body wrap, where the consultant uses a large roll of cling film to tightly wrap around my body. The full body wrap firms up your skin while you continue to perspire and the effect is akin to that of wearing shape wear or compression garments. As you are required to wear this body wrap for around 2 hours, it would be best to wear long sleeves and long pants for the treatment. 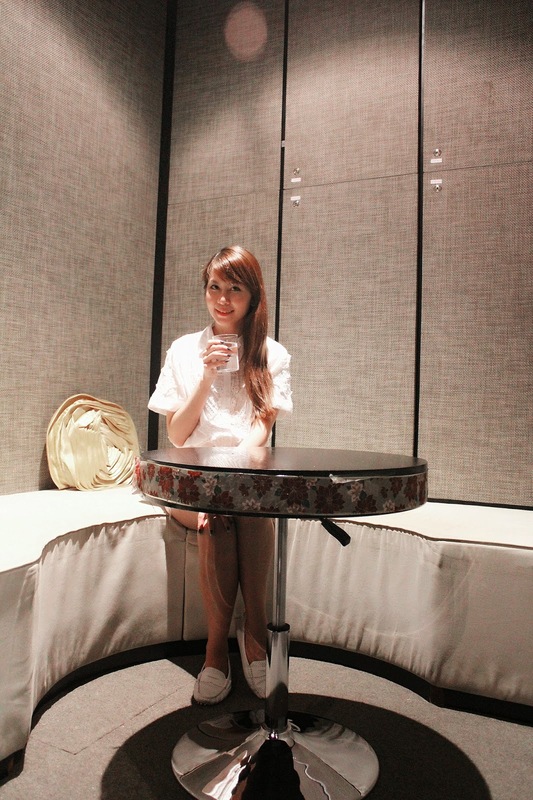 At the end of the treatment, I was offered a glass of tea to replenish the fluids that I lost. My consultant also came by to seek my feedback on the treatment and answer any additional queries that I may have. 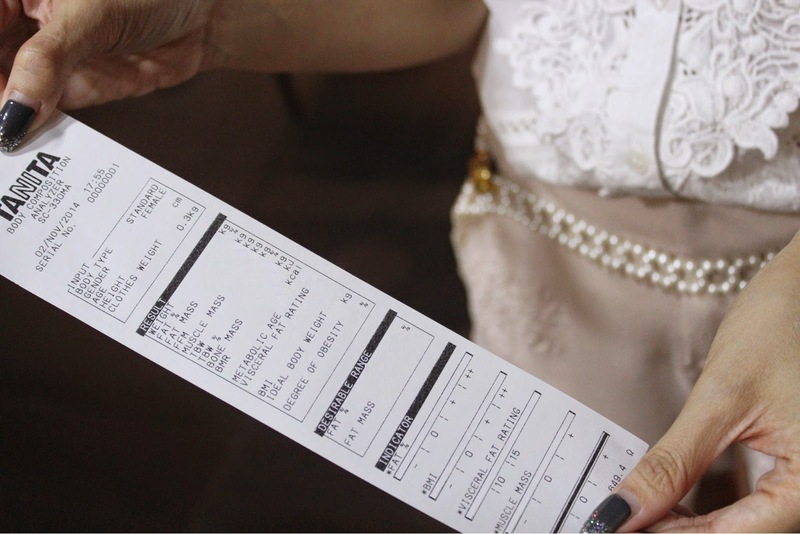 I appreciated her attention to detail and personalized service, which added a nice touch to the overall experience. How did I feel after the treatment? When I first arrived at Mary Chia, I was feeling rather lethargic as I had just returned from Maldives on a red-eye flight that very day but after the treatment, I felt completely refreshed and re-energized. 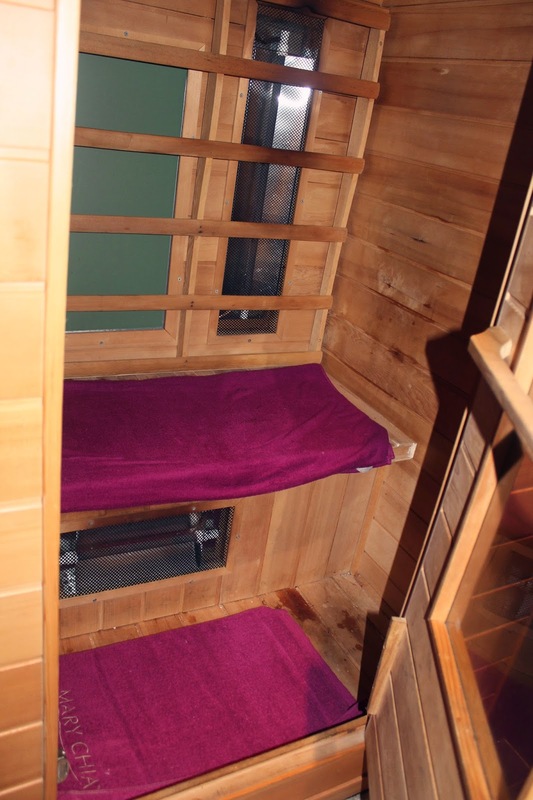 My skin was glowing and I felt the same rush of adrenalin that I would usually get from hot yoga, except that the nature of this treatment was of a much lower intensity than exercise. I would actually consider doing this on a monthly basis for detox. If you are interested in trying Mary Chia’s vibration bed therapy (Step 2), you can head on down to SampleStore.com here: https://www.samplestore.com/mary-chia-beauty-slimming-specialist-bmi-assessment-therapy.html to redeem a free trial! 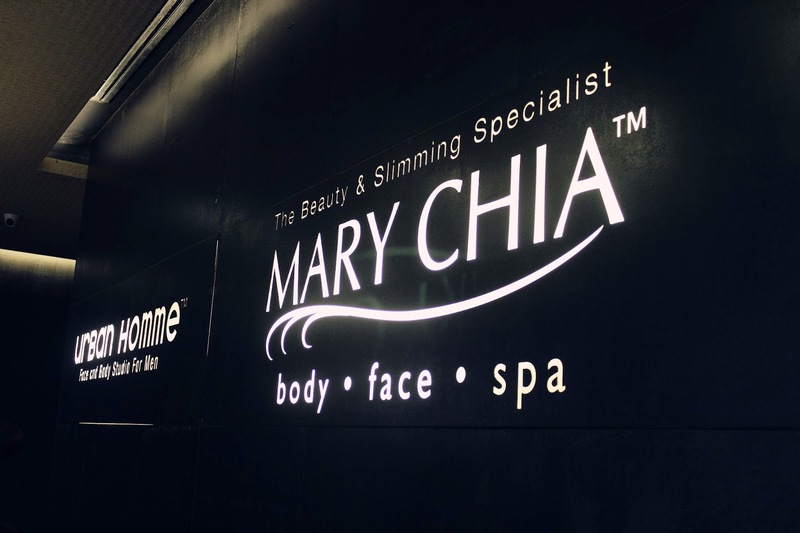 For more details on the treatment and Mary Chia's full suite of slimming and beauty services, do visit their website here.